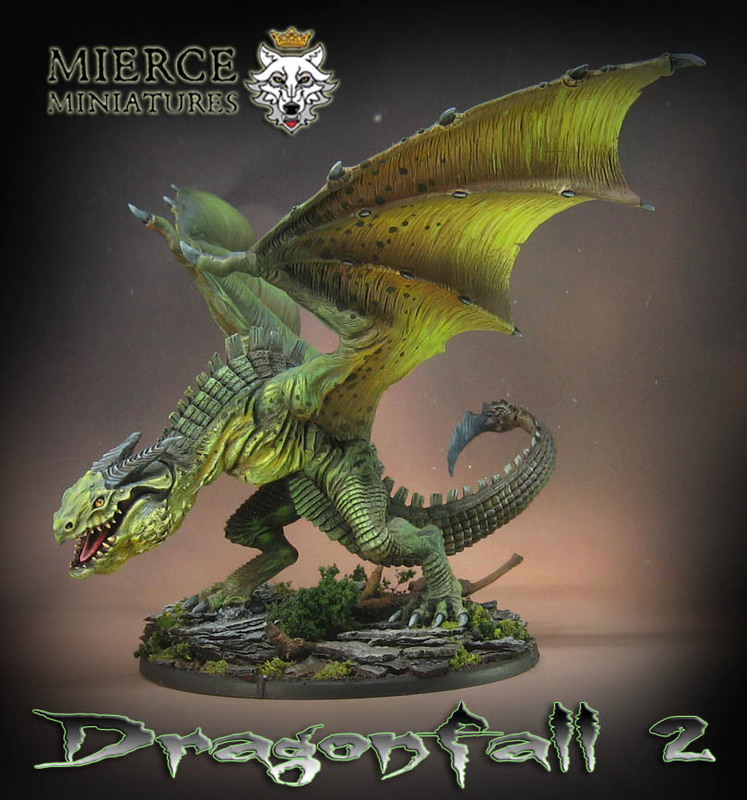 This beastie from Mierce Miniatures was an interesting exercise in the full range of greens! 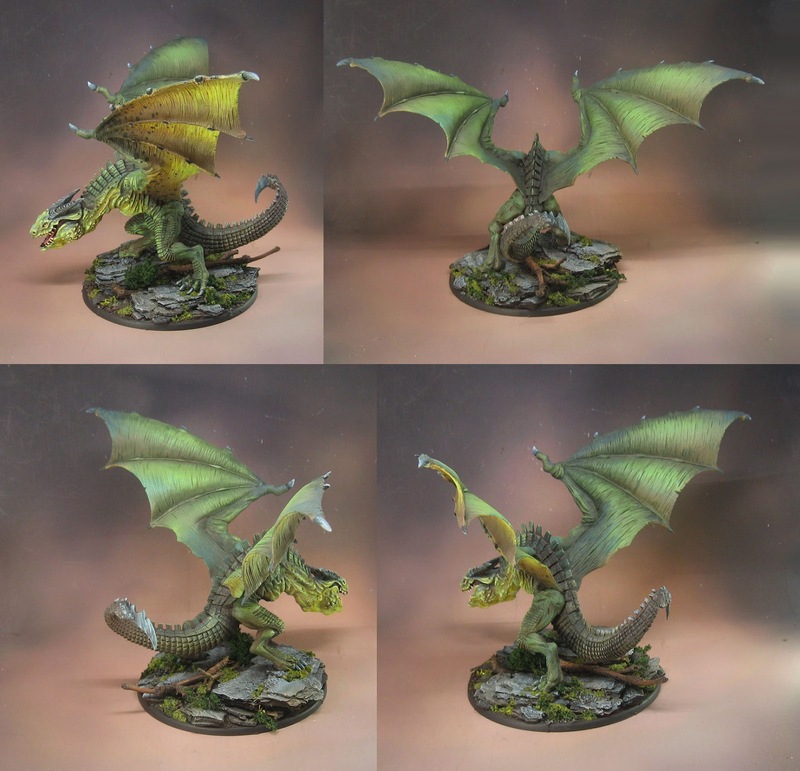 As I have tried to show in a number of my painting videos, these can range from blue green to almost yellow from cool to warm. Saturation is another added element to this difference in tones. You can even have the same kind of yellow green or blue green, but if it is toned down with even a little bit of red, it begins to read as more grayish to the eye. 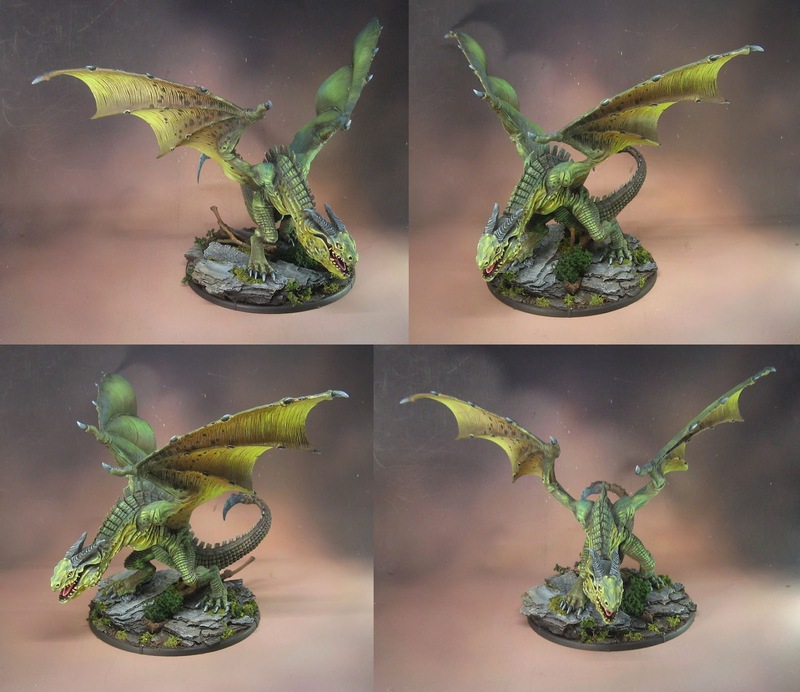 You can see in some of these images how the yellowish intense green on the underside of the wings contrasts with the more muted, blueish greens on the back of the wings. This is a subtle way of getting that contrast without resorting to radical differences in how light or dark the colors might be. During my tutorial videos, I like to turn off all saturation at a certain stage to show how you can get "sneaky" contrast like this. If I were to make this a black and white image, the two sides of the wings would look identical! I also incorporated some reds in certain places to get one extra level of contrast. So, the reds are placed where the green and the yellow of the two sides of the wings joins. This is also a bit darker than the rest of the wings, adding one more type of contrast.